L’Oreal’s recent launch of Seed Phytonutrients is the latest foray of multinationals in the natural & organic cosmetics market. Unilever has also launched the Love, Beauty and Planet brand in the last 12 months. 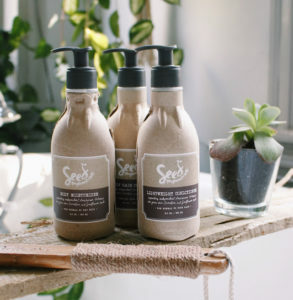 Both brands are looking to capitalise on consumer demand for ‘clean beauty’ products. More natural product launches are expected from multinationals, however Ecovia Intelligence believes not all will be successful. The global natural & organic cosmetics market has many intricacies. Retail sales of such products have grown from almost nothing to USD 10.2 billion between 2002 and 2017. Consumer are turning to natural & organic products as they wish to avoid contentious synthetic chemicals in cosmetics & toiletries. The primary motive is avoidance of parabens, SLS / SLES, and chemicals with associated health risks. However, many consumers are also buying such products because they want to support small independent ethical brands. Prior to the new product development route, the favoured mode of entry of multinationals was acquisitions. Yet, not all have provided dividends. In 2007, L’Oreal purchased The Body Shop and the organic cosmetics brand Sanoflore. The former brand was sold off to Natura Brasil last year, whilst Sanoflore remains a ‘marginalised’ brand. Critics argue that L’Oreal’s recent purchase of the Logona and Sante brands will suffer the same fate. Since purchasing the Logocos business in August, some organic food retailers in Germany are considering de-listing. Ecovia Intelligence sees consumer acceptance as a major challenge for multinationals. Research shows consumers identify with small / indie brands with green values; the same consumers will shun green products of large corporations. As has been shown at sustainability summits, the way forward maybe integration whilst differentiation: acquire natural / organic brands yet maintain their independence and core values. As ethical consumerism becomes mainstream and natural & organic products continue to make inroads in conventional channels, the multinationals cannot ignore this important trend. Large companies like L’Oreal and Unilever will continue to hedge their bets between developing green products and outright acquisitions. Market winners will be those who can successfully align brand values to consumer expectations. Others are likely to underperform as they find the green road is littered with obstacles.